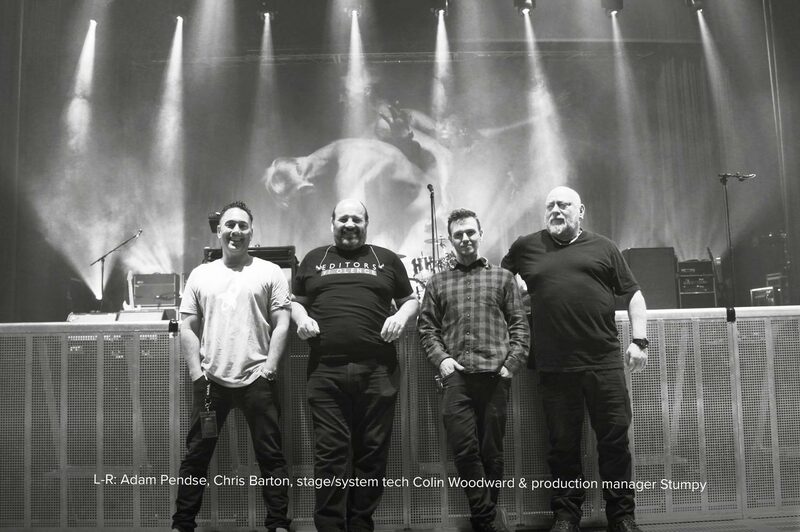 Production manager Stumpy, the band’s sound engineers and the team at Entec reflect on how they worked together to make Editors’ 2018 tour one to remember. 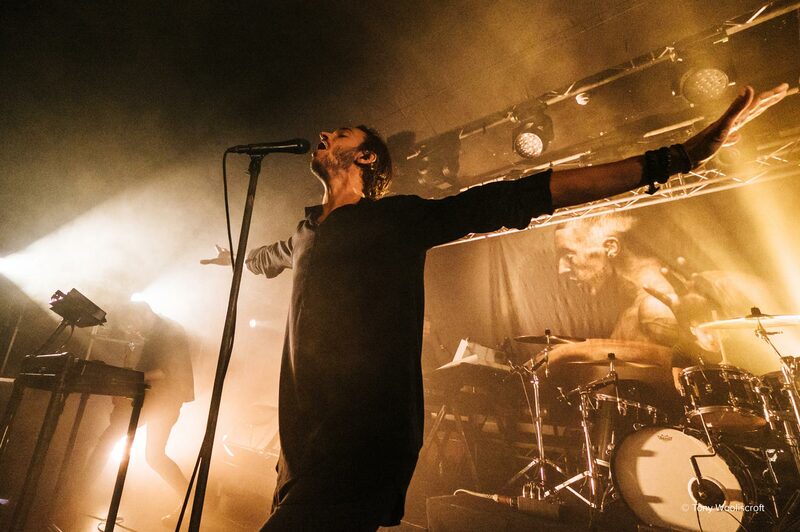 Fronted by Tom Smith, a lead singer famously blessed with the largest vocal range of any contemporary artist, Editors could rightfully be described as a classic workhorse band with a relentless commitment to the live scene. Stronger and more confident than ever, and with Entec’s staunch audio support on tap throughout, the band – featuring Smith’s fellow co-founders Russell Leetch and Ed Lay, plus Justin Lockey and Elliott Williams – hit a purple patch in 2018 with the spring release of Violence, their latest long player, coinciding with the start of nine solid months of touring, amounting to no less than 102 shows. Difficult to categorise, Editors’ broad music catalogue was represented onstage by a dynamic, career-spanning set that blended old classics like ‘Munich’, ‘Smokers Outside The Hospital Doors’ and ‘An End Has A Start’ with the more recent ‘Sugar’, ‘Darkness At The Door’ and ‘Nothingness’, winning new fans every night as well as satisfying the faithful. At the helm of the band’s production is Stumpy (a.k.a. Fraser McAvoy), who works closely with tour manager Mark ‘Maccum’ Williams. Stumpy came into the Editors camp as PM just over two years ago following a long spell with acts including Skunk Anansie, Marillion and Wet Wet Wet. After his first year, he put the production supply out for tender, as he explained: “I wanted to change a few things, and bringing Entec in was one of the big moves for me. 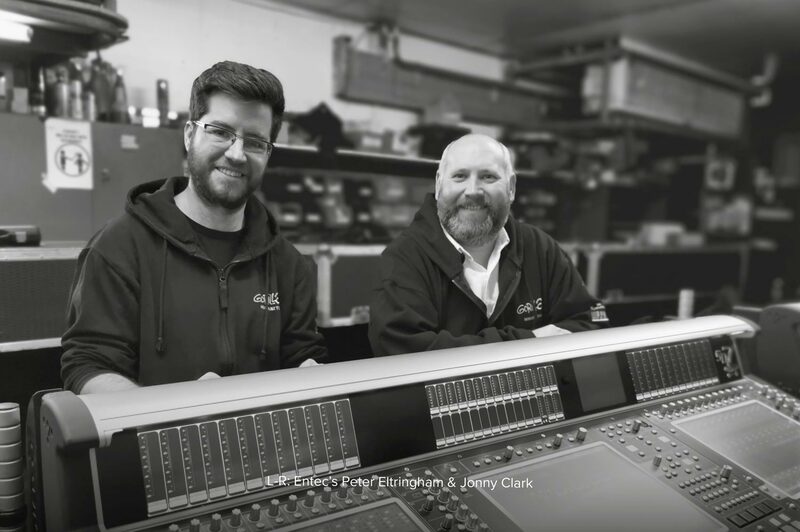 Jonny Clark [Entec’s head of sound] was very helpful in shaping and pricing a package that would work for us on several counts. I was happy about that because they’ve been my preferred audio supplier for more than 20 years. 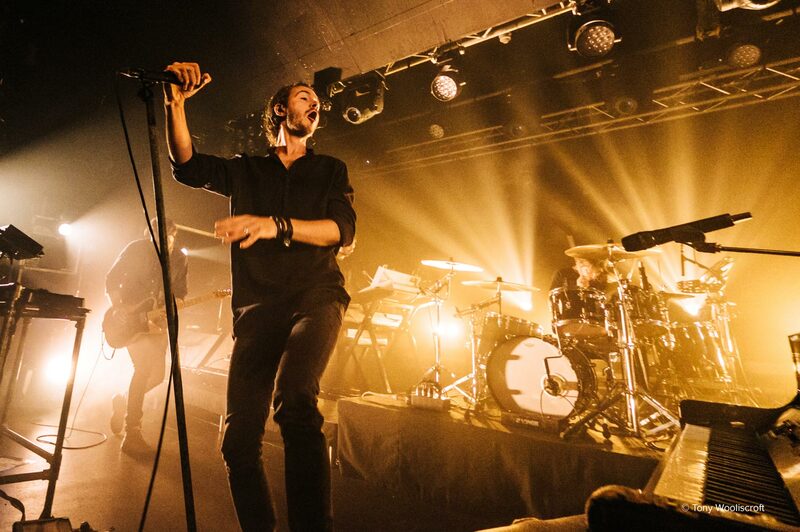 Editors’ year began in February with rehearsals at Robannas studio in Birmingham, in preparation for a handful of launch shows for Violence in early March, in Warsaw, Birmingham, Manchester, Rome and London. With barely enough time to catch their breath, the band and their core crew of 10 returned to Europe for a full-scale spring tour, followed by a trek to the USA and Mexico. 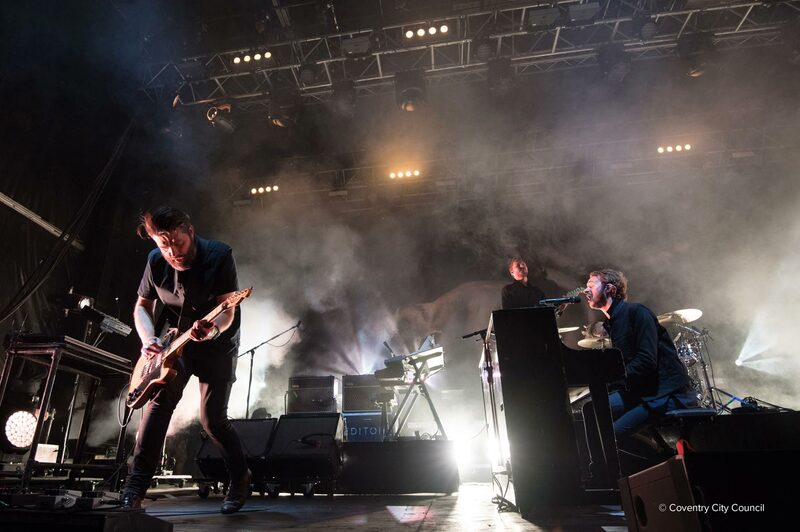 By the summer, Editors were immersing themselves in the festival scene, playing 27 dates at events ranging from Werchter’s TW Classic, PinkPop and Zürich OpenAir, to Coventry’s Godiva Festival and British Summer Time in Hyde Park (with The Cure). 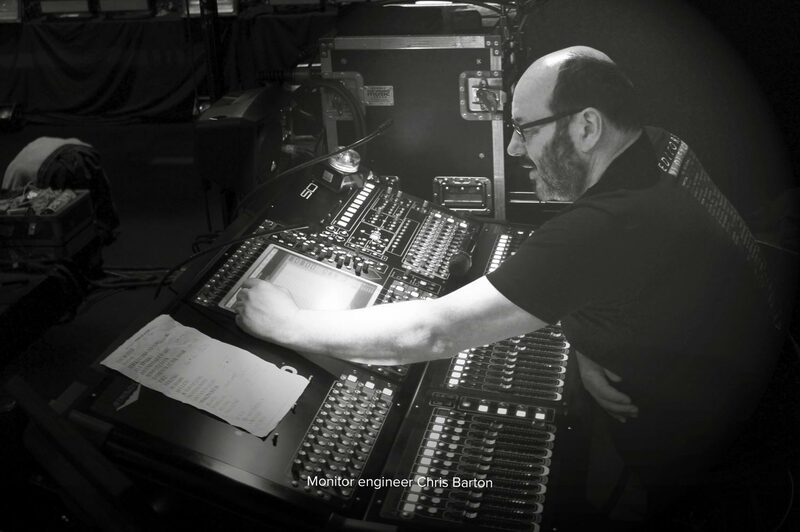 Sandwiched in between the latter run and the year’s final series of concerts in Europe was a 14-date autumn tour of the UK and Ireland, for which Entec despatched Peter Eltringham as a system tech. Up to this point, Entec’s package had consisted of a line system, monitor control and mics, however, it was now expanded to include an d&b J-Series line array, comprising 20 J8 loudspeakers, four J12s and eight J-SUBs (12 at Brixton Academy) with 18 D80 amplifiers. Said Peter: “As we normally do, we looked at the venue data before arriving at each gig to get an idea of how many boxes to take off the truck in the morning, and then go and measure the room ourselves because the plan is never the same as the building you’re faced with! “We used ArrayProcessing everywhere we put PA and trim everything using d&b’s ArrayCalc and R1 remote control software. It gave us a lot of headroom which is so important for clarity. It’s nice to be able to sit Tom Smith’s great voice on top of the mix and that combination of ArrayProcessing and J-Series can give you such an intelligible yet powerful result. 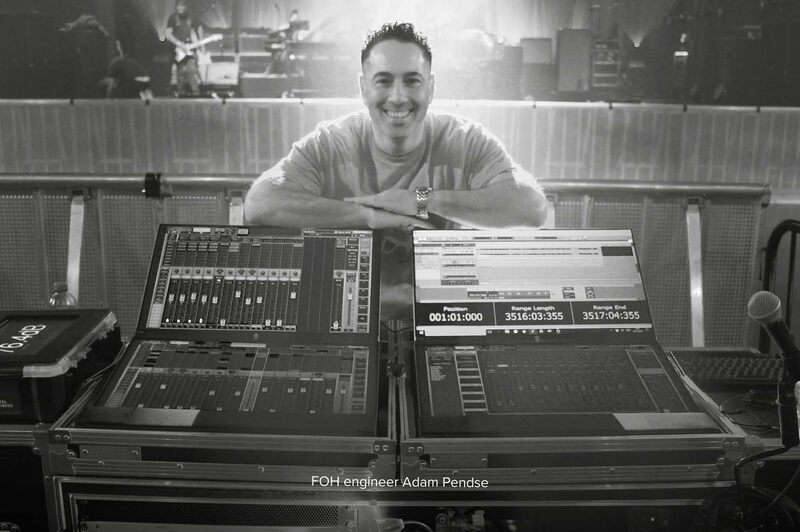 The mere sight of FOH engineer Adam Pendse’s compact workstation and its absence of hardware faders and pots aroused an assortment of curious, confused and downright befuddled responses from technically-minded passers-by. Rather than take the conventional route, Adam, a self-confessed “computer nerd”, chose to custom-build his own mixing solution, based around the Waves eMotion LV1 live mixer and four monitor screens. Doesn’t it feel strange to mix a show without actual faders? “It’s certainly different, but I’ve used computer interfaces as part of my set up for a long time, so it wasn’t quite the stretch that it may seem. I’m accessing all the controls – mutes, hot keys and fader banks – via touchscreen. The monitor screens give me an incredible amount of visual information and I’m able to organise everything precisely as I want it to appear. 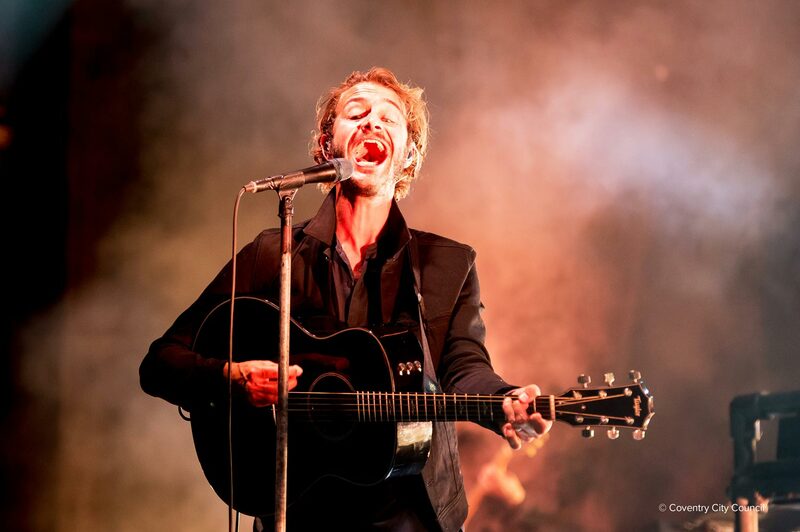 Tom Smith’s choice of microphone has been the focus of much scrutiny owing to his voice almost qualifying as a freak of nature. Four years ago, musicnotes.com conducted a survey of contemporary singers including Bruce Dickinson, Matt Bellamy, Bono and Chris Martin, documenting their highest and lowest recorded notes. Tom topped the list by a long way with an impressive range of 4.75 octaves, from D3 to B7. Elsewhere, Entec provided models such as Neumann KM184s, DPA’s d:vote 4099s for Ed Lay’s toms and snare drum, and DPA d:dicate ST4011A mics for his cymbals. 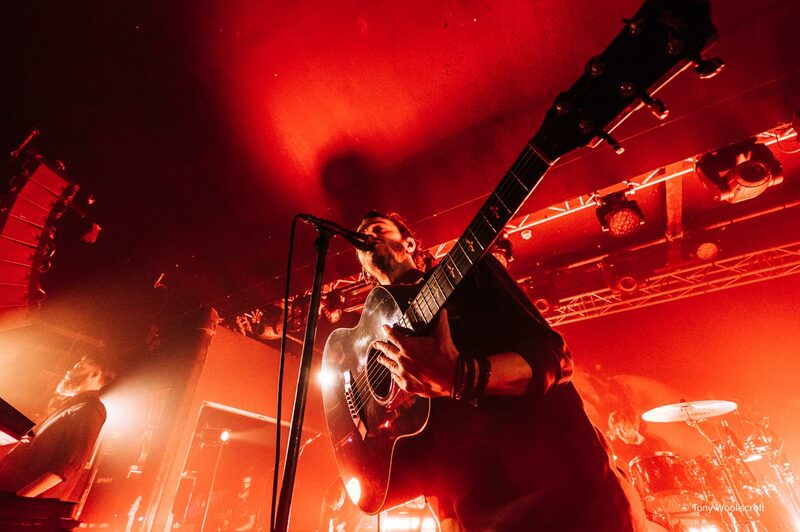 Using Sennheiser G3 wireless systems for in-ear monitoring, each of Editors’ five band members has a stereo IEM mix, while Chris also creates three stereo mixes for technicians and the sidefills, as well as outputting to a thumper for drummer Ed Lay. The UK tour began on October 7th at Southampton’s Guildhall and all was going swimmingly until five days later when Tom Smith was suddenly struck down by a bad cold prior to the show at Aberdeen’s Beach Ballroom. “It’s not a gig you regularly see on tour itineraries but I think that was part of the attraction,” noted Peter Eltringham. 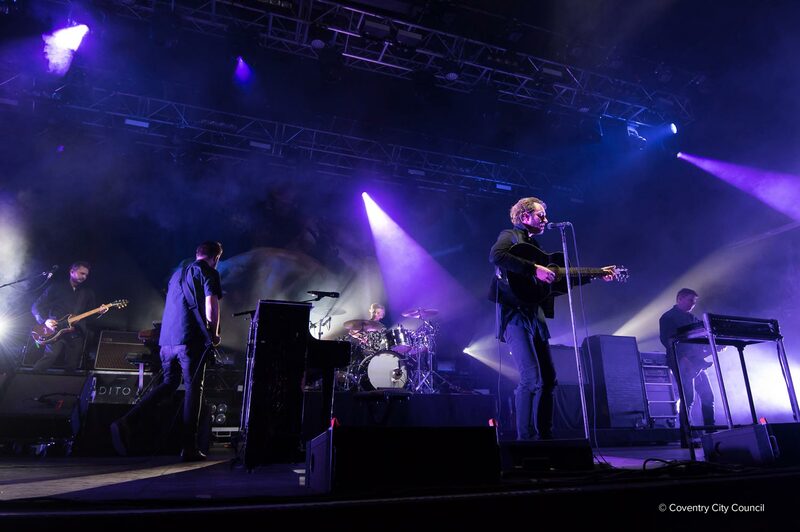 “It might have been one of the tour’s most memorable gigs had it gone ahead but Tom was struggling at soundcheck and the tough decision was made to cancel rather than compromise the remaining dates. 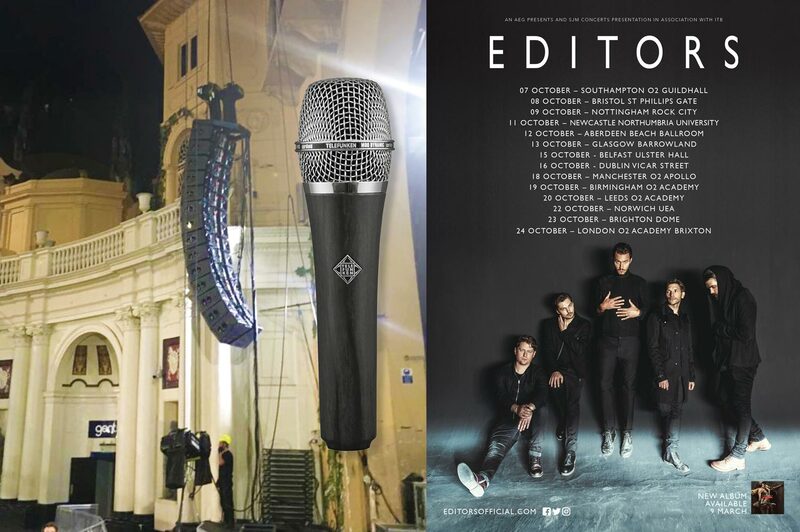 Entec was proud to lend its expertise and support to Editors throughout 2018 alongside fellow tour suppliers Siyan (lighting), Beat The Street (band and crew bussing), Fly By Night (trucking), Global Motion (freight) and Popcorn (catering).